Episode 27: Funnels, Flywheels or WTF?! 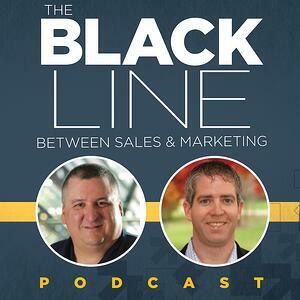 Hubspot has unveiled their new flywheel model for sales, and Doug and Mike have some thoughts. Is the old funnel model dead? Is the flywheel right for your business? Find out. Since the advent of sales and marketing, businesses have tried to find the perfect model to represent the buyer's journey in a simple and digestible way. First came the common funnel, where buyers move through stages and either discontinue on their own or are disqualified. Now, Hubspot has debuted their "Flywheel" model. The problem with both is that the buyer's journey is too complex to be represented in that way. The B2B buyers journey has too much chaos to be represented in any sort of straightforward way. Forcing certainty on a chaos journey doesn't allow you to drive your own sales process. Contrary to popular belief, there isn't much purposefulness, consciousness, or intent to the buyer's journey. It's important to acknowledge and manage the chaos of the B2B buyer's journey. Buyer's think of purchases more as tasks than a step by step journey. Ensure your systems are set up to manage the chaos. You need to be driving your process, not your customer.